The fully-electric Volkswagen ID. R will take on another special challenge in September 2019. Romain Dumas (F) will be back at the wheel of the 500kW electric sports car for the record attempt on the Tianmen Shan Big Gate Road – a unique stretch of tarmac, featuring 99 corners, which winds its way up Tianmen Mountain, located roughly 1500km southwest of Beijing. 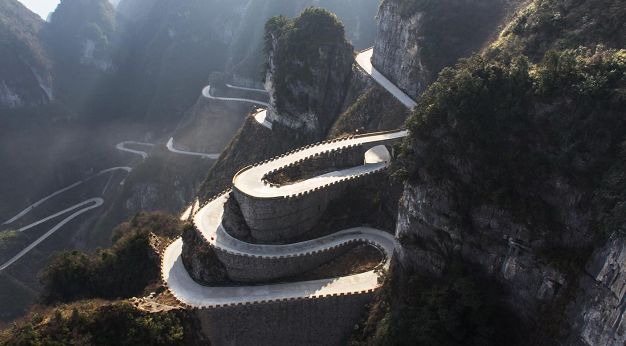 As no o?cial record exists for the eleven-kilometre mountain road, which is not accessible to public transport, Volkswagen China will run a competition prior to the record attempt, in which participants can set their own virtual time on the Tianmen Shan Big Gate Road. Dumas will then attempt to better the time of the fastest participant under real conditions in September. Dr. Stephan Wöllenstein, Member of the Board of Management of the Volkswagen Passenger Cars brand and CEO Volkswagen China: "The Volkswagen ID. R is an icon, which perfectly embodies our passion for E-mobility and our expertise in the development of electric drive technology. We can use the experience gained in the ?eld of motorsport to further enhance that expertise, and can incorporate it in the assembly of electric production models." Volkswagen Motorsport Director Sven Smeets: "Tianmen has a mystical status in China, where it is known as ‘Heaven’s Gate’. The route is one of the most extraordinary and di?cult roads in the world – another special challenge for the ID. R. Our goal is to set a new milestone for electric vehicles and, in doing so, to support Volkswagen’s E-strategy in China, which is really picking up speed this year. "So far, I only know the road from photos and a few videos," says the 41-year-old Frenchman. "The surrounding area is remarkable, like a ?lm set. The route is very winding, extremely narrow in places, and very uneven. It is certainly going to be a special experience. I am looking forward to this new challenge." The Volkswagen ID. RThe Volkswagen ID. 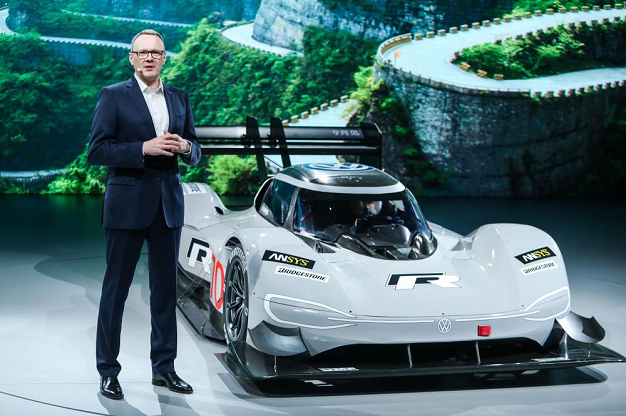 R, with which Romain Dumas set records at two famous hill climbs in June 2018 – ?rst at the 'Pikes Peak International Hill Climb' and then at the Goodwood Festival of Speed – is powered by two electric engines generating a total output of 500kW and accelerates from 0 to 100 km/h in just 2.25 seconds. Before travelling to China in September, Dumas and the record-breaking ID. R will ?rst set their sights on a new lap record for electric cars on the famous Nürburgring-Nordschleife.